This illustrates well the levelling progression though zones now that The Shattering has taken place. 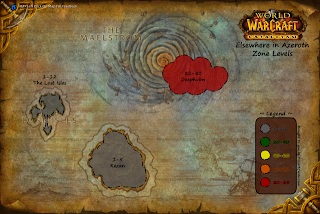 If you are looking to level your new Night Elf Mage or Human Hunter, these should help you plan your route. 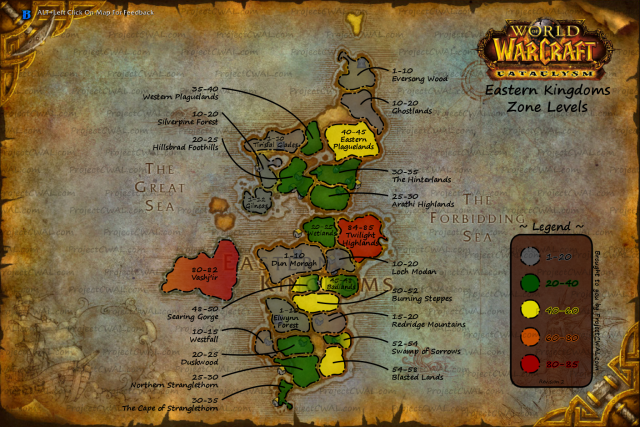 Please note that Outland and Northrend are completely unchanged by the Cataclysm, and as such remain level 59-70 and level 69-80 zones respectfully. can you make Zone Levels for Northrend? It would be most helpful!